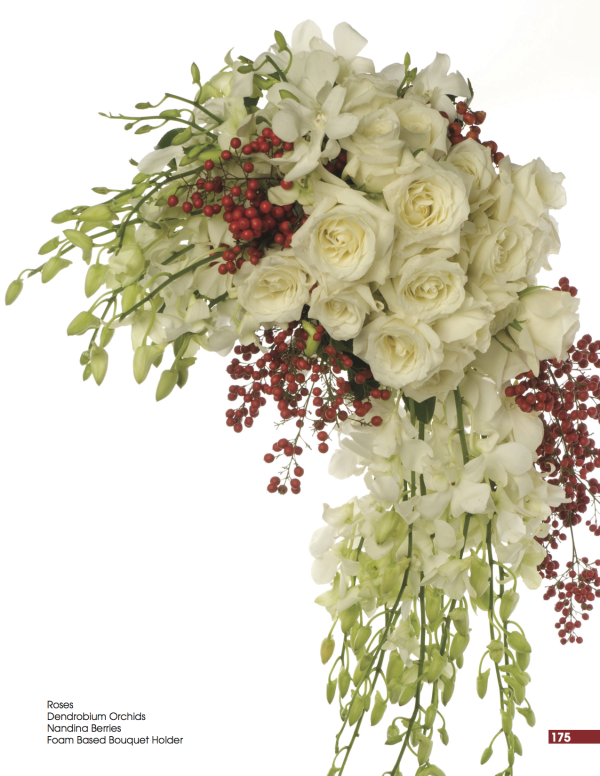 Cascading bouquets are back as the favorite floral design of trendy brides. After years of choosing the simple, easily duplicated ’round-moundy’ hand-tied bouquets, brides are realizing how gracefully cascading bouquets flow from a bride’s hand. A more sophisticated look; these designs add a touch of elegance against the background of their beautiful gowns. When in comes to trends, whatever we have been doing – we decide to do the very opposite in order to be ‘trendy’. Hence, ‘Trend’ and ‘Counter-trend’. Hand-tieds have been the trend, now the cascade is trending in as a counter-trend. For a harmonious look, the style of the bridal bouquet should reflect the style of the bride’s gown. This year simplistic ‘rustic’ is trending-out and sophisticated ‘elegance’ is trending-in for wedding sites, decor, and dresses. 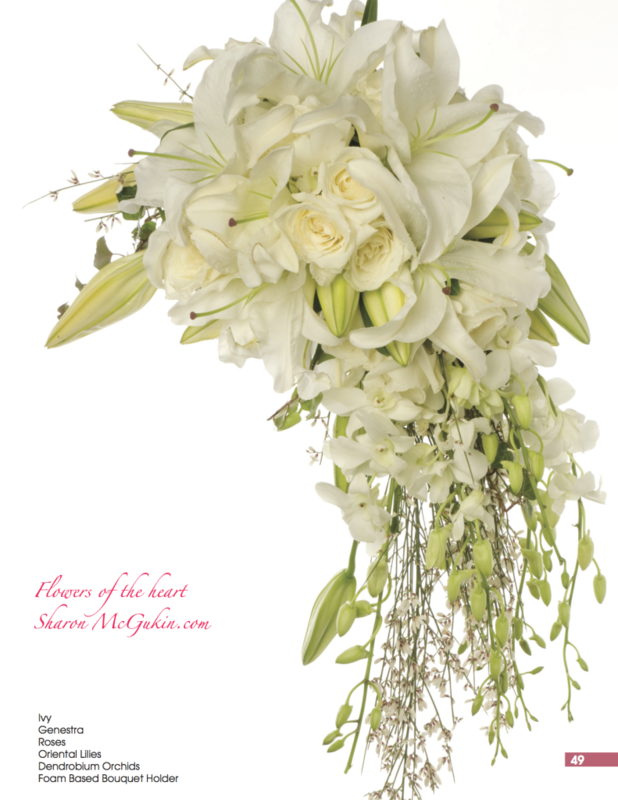 Once again we return to elements of grace; and the graceful cascading bridal bouquet has returned to favor. To create a fresh flower cascading bouquet, the designer must either (a) wire and tape each of the flowers to form the composition or (b) use a foam based bouquet holder. Smithers-Oasis has an excellent line of bouquet holders in a variety of shapes and sizes, including those pictured here. 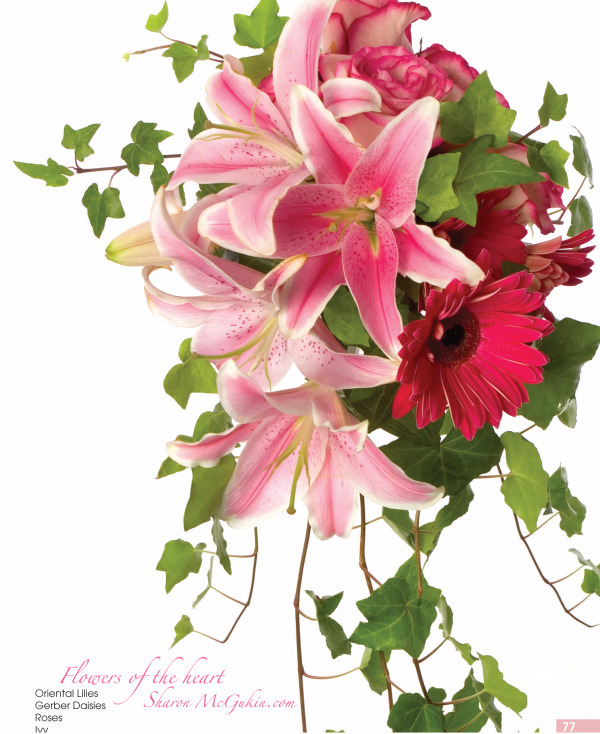 Choose the form that fits best with the style of bouquet you plan to design. 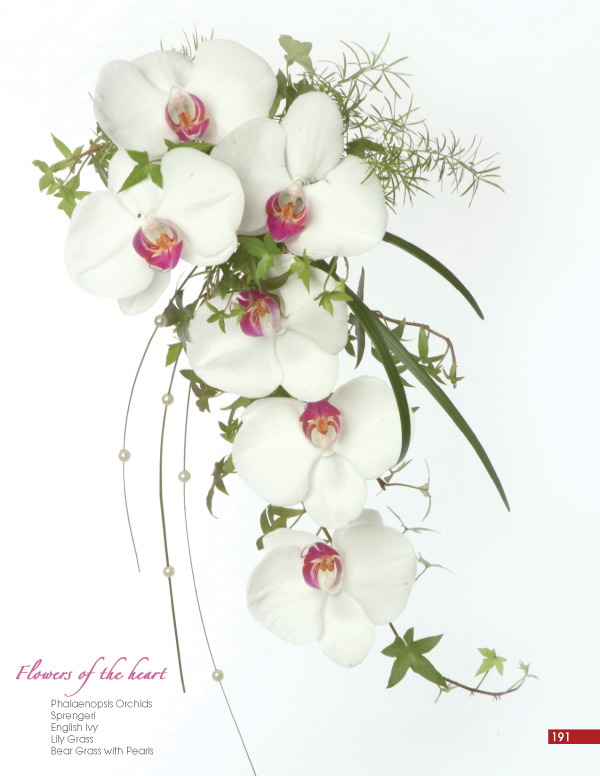 The luxe holder is an oval shape that holds more flower stems and works well for cascading bouquets. Floral Educator, Sharon McGukin (Mc-Goo-kin) AIFD, AAF, PFCI, is nationally known for her captivating style of Floral ‘Edutainment’ – educational tips with entertaining insights.